How many times have you heard someone say, “well, my boots are made from yak leather”? I can honestly say that, before this year, I didn’t know anything about yak leather. But now…not only do I KNOW about yak leather – I have a pair of awesome yak leather hiking boots from an great company called Hanwag. 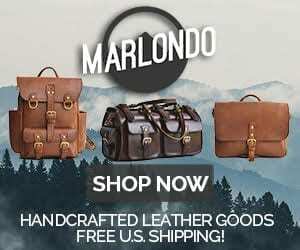 This is the second feature from Hanwag here on BestLeather. Recently we published a review on a pair of hiking boots for ladies, which you can read here. Hanwag is a German company that’s been around since 1911. They have a strong following throughout Europe and are seeing the brand successfully grow in the United States now. They’re dedicated to environmentally friendly processes, sustainable processes, and producing high quality products. As mentioned earlier, the Tashi Boots are made with Tibetan yak leather. The chrome free yak leather features an eco-friendly, sustainable technology used during manufacturing process. The leather is 2.2 to 2.6 millimeters thick. This leather is sourced exclusively from the Lhasa Leather Factory in Tibet. 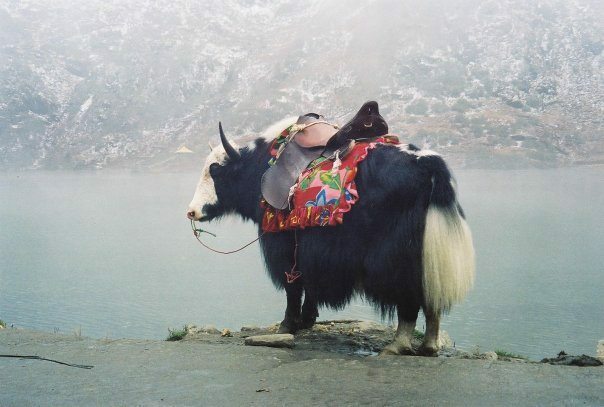 Quick rabbit trail: Yaks are hardy animals that thrive in their normal 4000 meter, relatively barren landscape. The animal provides many benefits to its owners over its lifetime. When the yak’s hide is tanned into leather, it has a naturally raw texture, not uniform at all. This gives each Tashi Boot a unique character. The boots are double stitched, feature a rugged resoleable Vibram sole, and are handmade In Germany with materials exclusively sourced within Europe. This is the really fun part. I’ve worn out many different pairs of hiking boots over the years. I feel like I have a pretty good grasp on functionality and performance here. To put it succinctly…these boots rock. They are comfortable and feel great on your foot. The break-in period is very slight…wear them a few short times around town and then you’re ready to hit the trail. One of the things I noticed about these boots is the shape of the sole. They naturally cause your foot to move properly (pronate…supinate). The soles create a fantastic heel to toe roll, which is ideal for long hikes and exploring on the trail. The thickly padded upper is appreciated for comfort, ankle support, and the safety it affords while on the trail. Lacing them up is easy and the one set of speed hooks is set down low, which is ideal and gives you a good pull and keeps your heel firmly in place. Also, the eyelets on the lower portion of the boots actually contain ball bearings…a cool little feature that allows the laces to move easily without wearing them out (it’s the little things, right?). The Tashi Boots are a great all around hiker and will keep your feet comfortable for many miles. The Hanwag Tashi Boots have a traditional European hiking boot design, which I’ve always found to be pleasing to the eye. The texture of the yak leather is immediately noticeable and very cool. It is definitely unique…and I like it. The dark brown of the leather and the padded upper is a nice departure from the traditional lighter brown of many boots in this style. The interior of the boot is visually appealing too with the light beige colored thin leather lining. The dark brown yak leather, the thick white stitching on the sole, the rugged Vibram tread…it all makes me feel like trekking through the backcountry of Yosemite again. If only I had the time and resources to run off and do it. At $425, the Hanwag Tashi Boots are a significant investment. But, if you’re a moderate to serious backpacking or trail hiking enthusiast, you already know that investing in a great pair of boots is the best choice you can make. You won’t go wrong purchasing these boots. They’re a treat for your feet and will continue to keep you moving down the trail for many years to come. And…they’re yak leather! You’ll by far be the coolest person on the trail for sure with these on your feet! 1 Comment on "Hanwag Men’s Tashi Boots Review – $425"